The Prince of Wales pier is a short, walled pier situated inside Dover harbour. Open daily, it fishes at all states of the tide with high and down favourite. The café end is best for bottom fishing when casting towards the breakwater. The inshore section produces in rough weather and coloured water, while the Sea Cat gate is noted for pollack and flounders. Sport at the shelter is limited. Despite being a safe fi shing platform the pier is windswept and exposed during bad weather. Car access for the disabled is via the Marina Office. 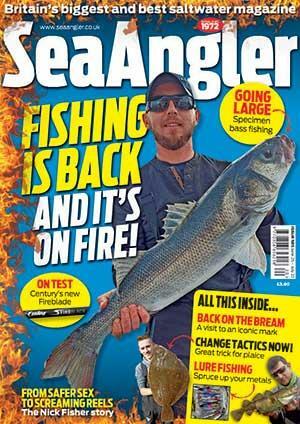 In summer and autumn you can expect pouting, eels, plaice, bass, dogfish, mackerel, garfish, scad, mullet and soles. Codling, whiting, flounders, dabs and pouting are caught in the winter. Ragworms produce fish in summer, particularly bunches of small mud rag alongside the wall and off the bottom using booms and long snoods for flounders and pollack. Lug tipped with a sliver of squid or fish is the winter bait. A three-hook flapper or two-up, one-down rig is best. A breakout grip lead is required because the tide is fierce during the early flood when it runs inland. Casting range is only crucial to find the deep gullies and holes made by the dredger. Three French booms spread over a 12ft trace are ideal down the wall. Local anglers use a rod-rest that clips to the railings to suspend the booms away from the wall and off the sea bed. Reach Dover by the A20 or A2. On the seafront head for the marina turning (third roundabout from A20 and A2). Look for an old clock tower and a swing bridge. Plenty of pay parking on the marina quay. The café opens daily in summer and at weekends in winter. Pier tickets are available on the pier from steward if the ticket machine is not working.